BioLink Automated Multibiometric Identification System (AMIS) is a high-performance solution for identification of large groups of individuals, that helps Departments of Motor Vehicles integrate multi-biometrics in the driver license systems to ensure fast and reliable verification of the license holder as well as absolute protection of personal data. Fingerprint identification is the largest and most mature biometric technology that is being widely used for law enforcement, background checks and some civil identification programs. Facial recognition technology has been available for more than a decade, but it has only recently gained widespread use in government agencies. 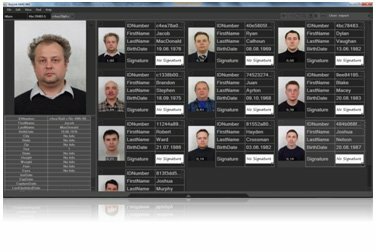 In an environment where lighting, head angle and distance of the subject can be directed, which is usually a standard procedure in a driver’s license application process, facial recognition technology is considered reliable for confirming or denying individual’s identity by comparing a digital image to the original photos in the database. BioLink’s multi-biometric engine combines facial recognition and fingerprint technology to help government agencies both prevent the issuance of fraudulent identification documents and ensure that driver licenses already in circulation with people who are not eligible to use them. In a driver license BioLink’s biometrics algorithms function to identify a license holder and verify individual identity. For the purpose of identification an applicant’s unique identifier information is used to search an existing database for duplicate data. This search is referred as one-to-many and it can help the DMV operators confirm, before issuing the driver’s license card, that the person does not already hold a license or ID. For the purpose of verification, the information collected can confirm an individual’s claimed identity. This search is referred to as a one-to-one search and it helps determine that the fingerprint on file belongs to the cardholder. 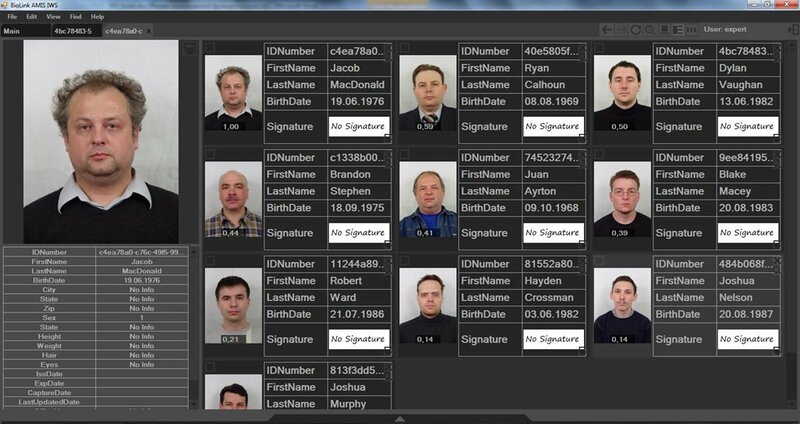 BioLink employs sophisticated and robust identity search based on the state-of-art matching biometric algorithm and/or other personal information (ID number, name, date of birth) to find the enrolled person to process thousands of images to look for duplicates on existing drivers’ licenses and identification cards. BioLink AMIS can be easily scaled up or down for a variety of national and regional identification tasks. With BioLink AMIS responsible government agencies benefit by issuing more secure driver licenses, save on operational costs and deliver quality services to citizens.